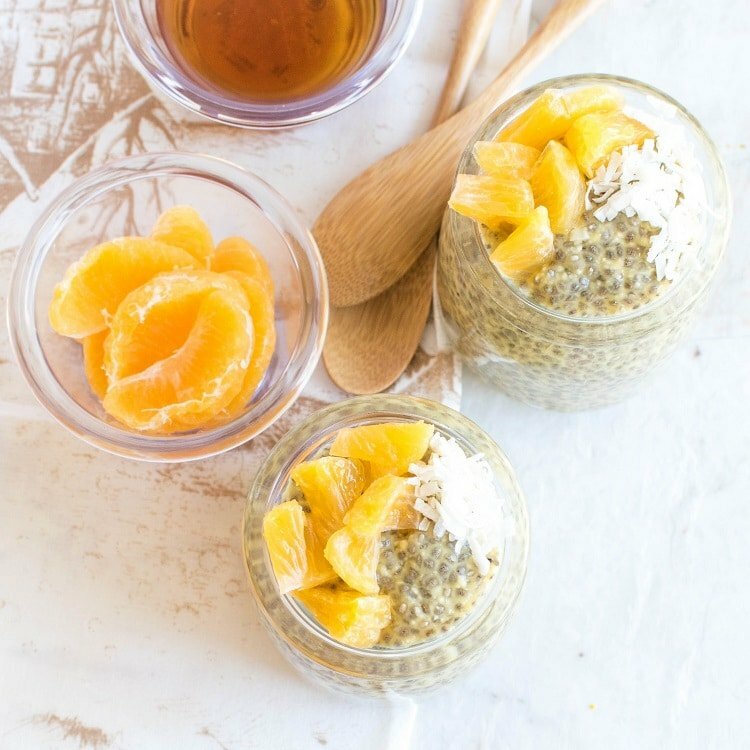 This Orange Macaroon Vegan Chia Seed Pudding is creamy, thick and protein rich breakfast. The detoxifying chia seeds blended with delicious flavors is so apt for the weather. It’s a dessert for breakfast. I am very fond of chai seed pudding and its quite regular in my diet. I am posting a chia seed pudding for the first time. However, I enjoy this recipe often for my snacks and sometimes breakfast too. The fresh orange flavor in this recipe is absolutely intoxicating. This refreshing fruit is overflowing in abundance in my house right now. We are loaded with vitamin C as of now. So, hopefully this craving helps us to sail through the flu season without falling sick. This pudding is the easiest to make. Plus, it’s an overnight breakfast. Meaning whip up all the ingredients and put it in the refrigerator. Then wake up with a ready breakfast. Doesn’t that sound like fun mornings…. First and the foremost I love to squeeze out fresh orange juices. I don’t like the sour/pungent taste of store-bought orange juice. Afterwards, I blended all the ingredients in the blender except chia seeds. Lastly, I vigorously whipped up chia seeds in the blended liquid and let it rest in the refrigerator. Thereafter, just before getting into the bed I whipped the pudding once so the chia seeds spreads nicely. Again, I let it rest in the refrigerator for the rest of the night. In the morning just before serving I vigorously whipped the pudding again and spooned it in the serving jars/bowls. Then topped it with some fresh oranges and fresh coconuts. Voila!!!!! My mornings have never been so delicious till now. Therefore, I encourage you all to make this recipe and enjoy it. 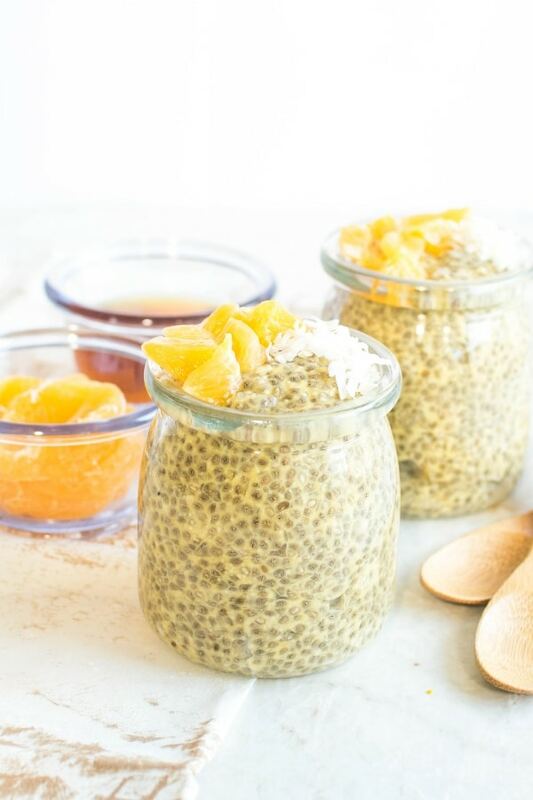 I am sure you will devour every bite of this lip-smacking vegan chia seed pudding. This pudding is a good source of vitamin C plus protein. It provides sufficient calcium and vitamin D. it also helps to facilitate metabolism which is very important in a weight loss journey. This pudding is like dessert for breakfast. The best part is that its guilt free and yet delightful to the taste buds. It is a perfect go to breakfast for busy mornings as well. So, if you have oranges in your fridge/kitchen counter go ahead and whip up this recipe right now. If you get a chance to devour it, do tag me or comment below. I love seeing what’s cooking in your kitchen. In a blender put orange pieces and blend it smooth. 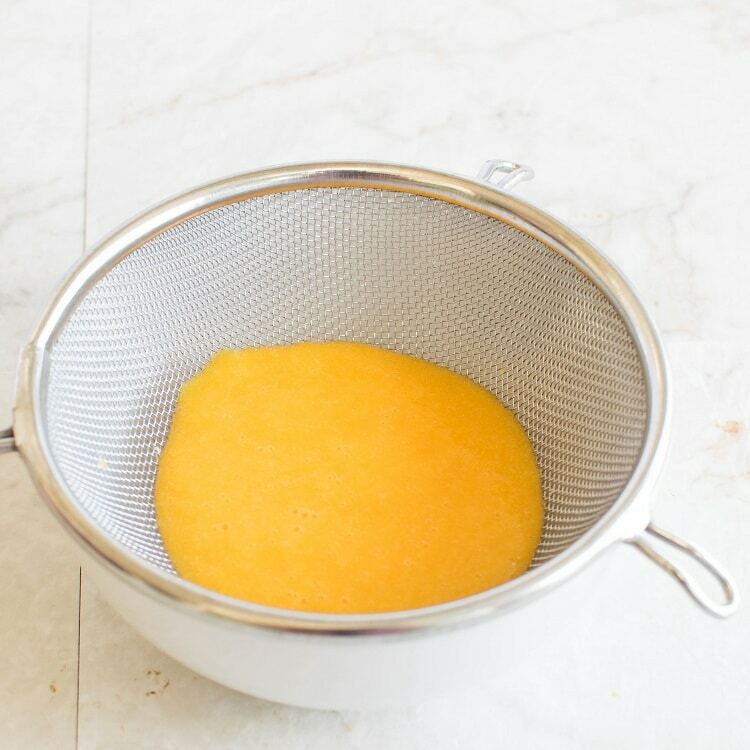 Strain the orange juice in a strainer and collect the orange juice in a mixing bowl. (Pulp not needed for this recipe). Now, in the blender again combine all the ingredients including orange juice (except chia seeds). Blend it extremely smooth. Pour the liquid in a mixing bowl. Now, stir in chia seeds and mix very well. Put the bowl in the refrigerator overnight. However, just before sleeping stir it vigorously once to spread the chia seeds nicely. Just before consuming stir this pudding again vigorously. Now,spoon the pudding in the serving jars/bowl/glasses and garnish with fresh oranges and fresh/dried coconut and enjoy. This looks delicious! 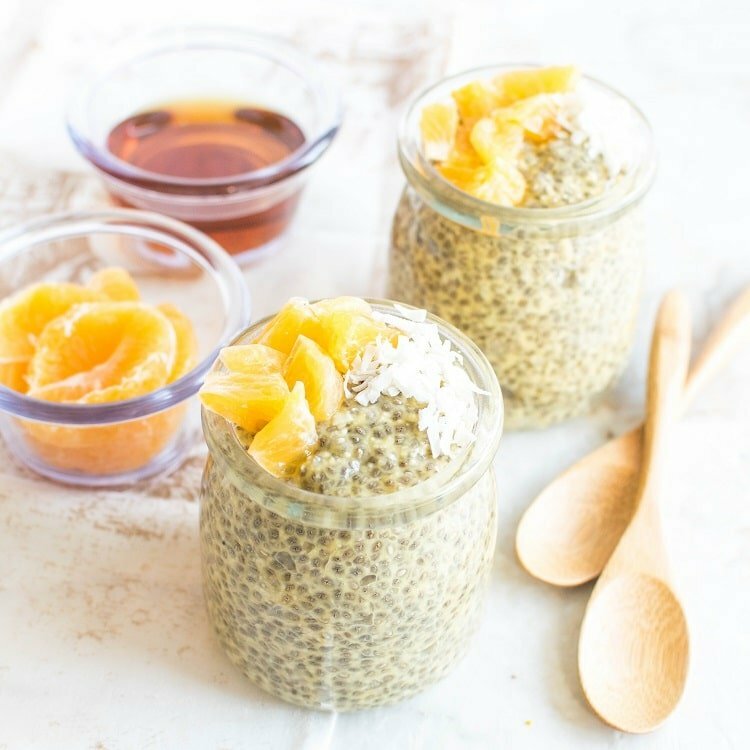 Chia pudding is incredible, thanks for sharing! I am definitely going to try this, but rather than orange extract can I sub that for an orange infused Olive oil? Yes, Brandi you may switch to orange infused olive oil but be careful of the measurements so that the pudding is not bitter. My mouth is watering at this recipe!!! I love chia seeds. I am going to have to try this one out! Oh wow, I will definitely be trying this!! 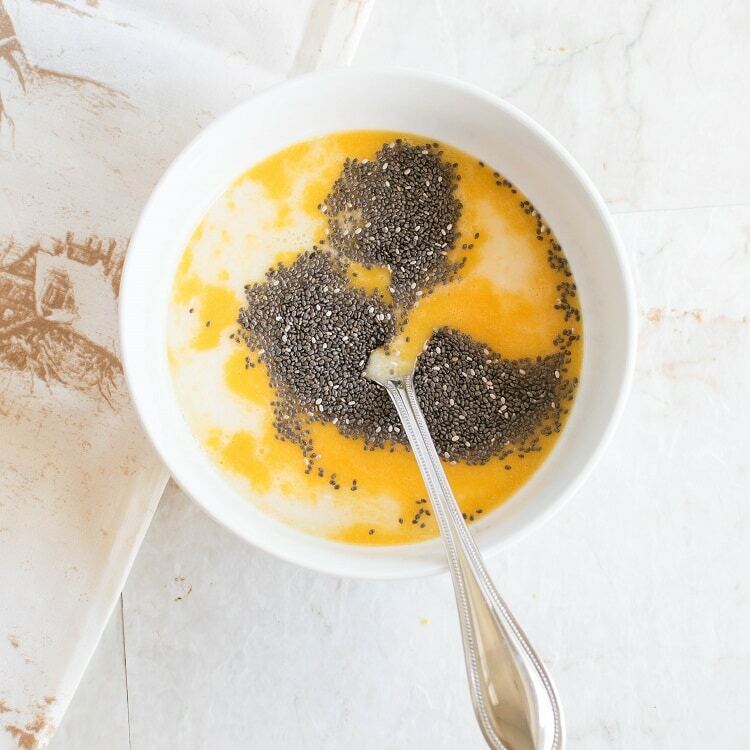 Chia seed pudding is one of my favorite breakfasts…I have it multiple times a week! Looking forward to switching it up with the orange!! 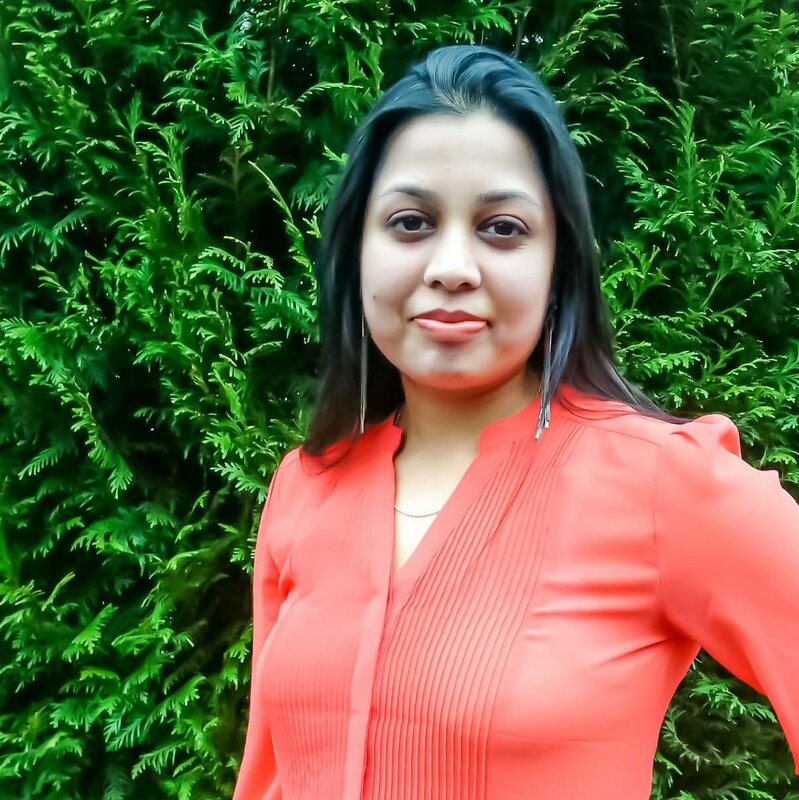 Orange is one of my favorite flavors, especially in summer! This sounds like such a healthy option with great flavor! Thank you Olivia. Orange is my favorite for the season too. 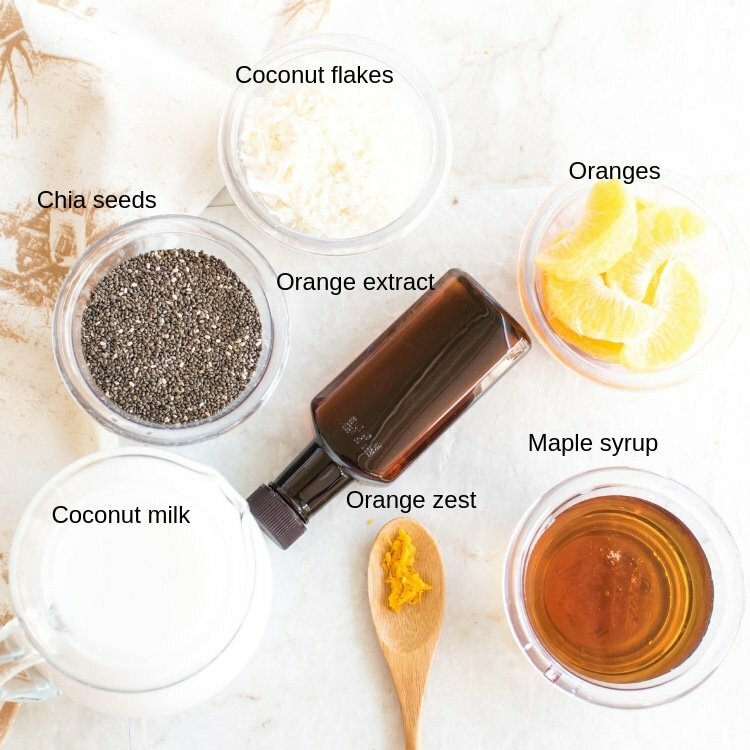 This looks so good plus I know how good chia seeds are for you. Thanks for the recipe! YUM this sounds sooo good! I love chia pudding as well. I will be making this as soon as I can get to the store for some oranges! I totally agree with you, fresh squeezed OJ is the way to go. This is right up my alley – it looks so easy and tasty! I would love waking up and having one of these ready in the morning. Thanks for sharing! This looks so good! I love incorporating chia seeds!